It's been a few weeks since we returned from Bridal Fashion Week in New York, where the world's top bridal designers presented their Spring 2016 collections. But we're still thinking about all the gorgeous gowns we saw and excitedly waiting for our selection to arrive at Little White Dress in Denver this fall. 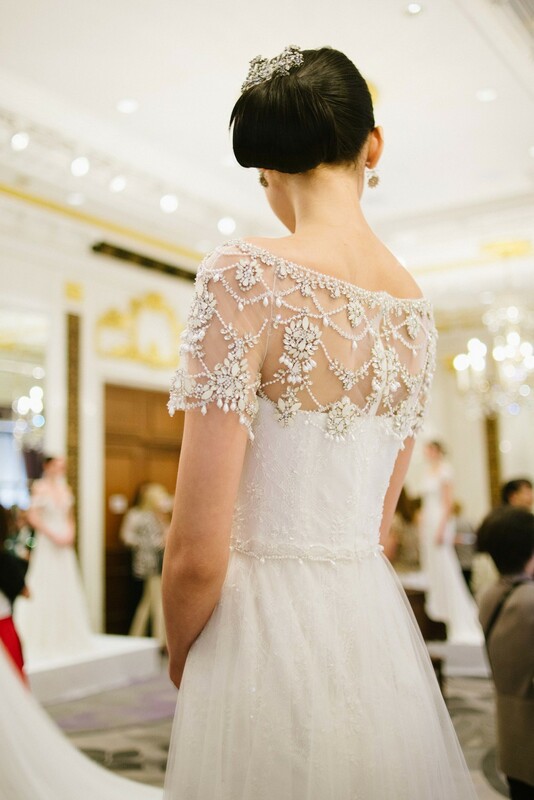 One collection we particularly loved was from Marchesa. Romantic, classically bridal, and with a subtle hint of the red-carpet glamour that Marchesa is known for, these gowns are absolutely perfect for brides with a wide range of styles. 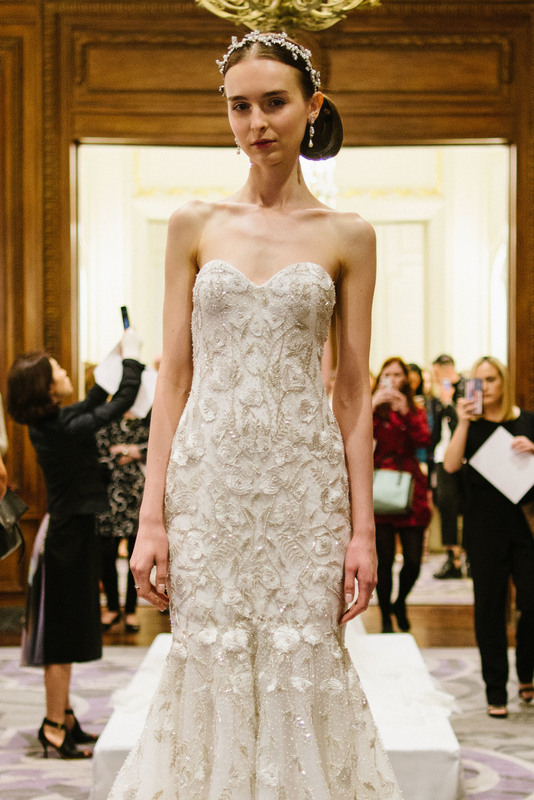 Presented on live mannequins - models standing on pedestals while the audience wandered around them - at the very refined St. Regis Hotel in New York, this collection was truly one of the highlights of Bridal Fashion Week! Marchesa wedding gowns are available in Colorado only at Little White Dress Bridal Shop in Denver! Call 303-814-8972 or visit our website to schedule your appointment to experience the romantic Marchesa bridal collection.